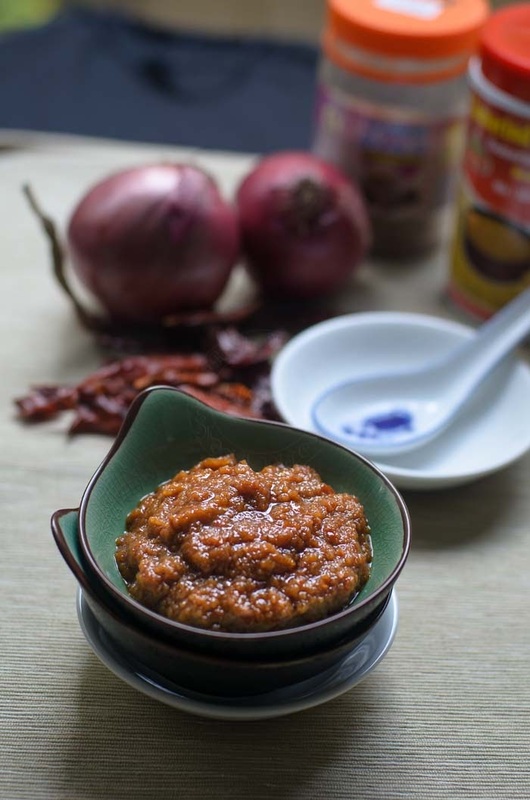 Malaysian chilli paste or commonly known as sambal tumis, is one of many, much loved sauces by all Malaysians. 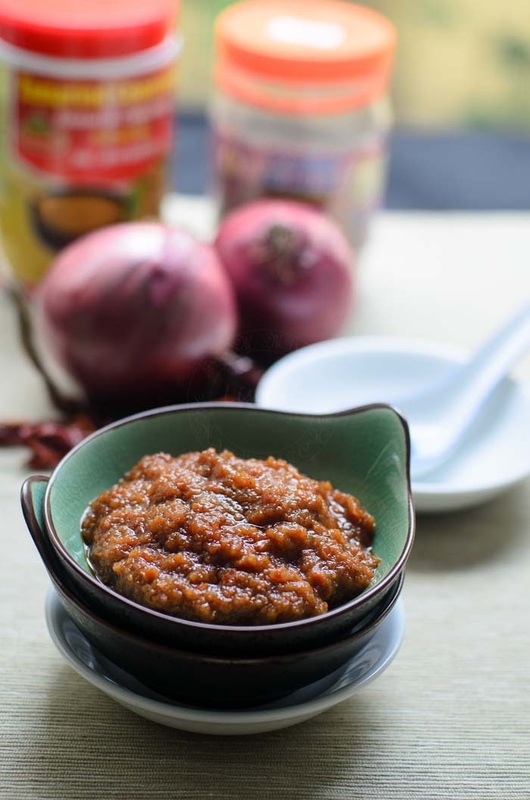 Scroll down to watch the video on 'How to' cook this delicious sambal tumis. 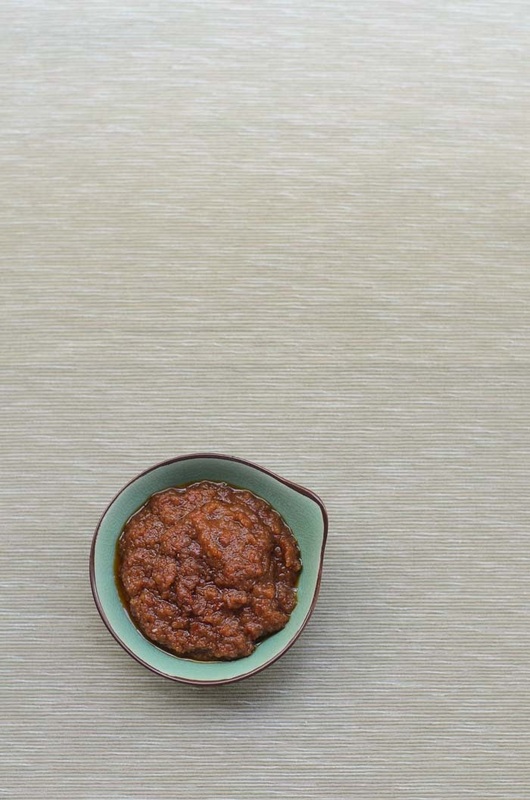 This lump of chilli mass; Sambal Tumis / Malaysian Chilli Paste may look like nothing much but it is one of the most versatile 'simple' dish in many Malaysians household. We must have our sambal with almost everything. We need FIRE in our BELLY!!! We'll have our roti canai (I have not tried this recipe but at least you get the idea what roti canai is) with some sambal in our curry or dhal. We use sambal to stir fry rice, noodles or water spinach (kangkong). 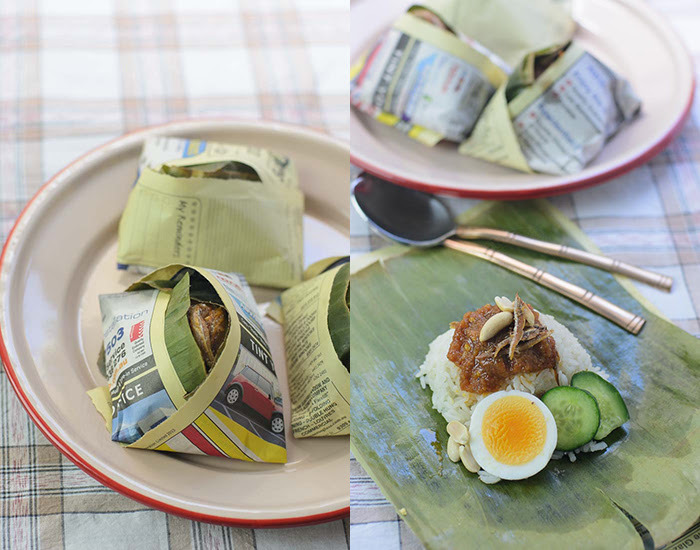 Lastly... sambal tumis is the main star in a dish called Nasi Lemak / Fragrant Coconut Rice. anytime is a good time to start blending and cooking sambal. I must exercise some care, pick and choose my day when I can cook my sambal. as you can see from the video clip, I did my sambal tumis cooking in the backyard :P.
Blend chillies, chopped onion and ½ cup of oil into a smooth paste. Heat wok and add ¼ cup of oil. Add the chilli paste into the wok. Bring the heat up to a quick ‘boil’, then lower heat to a simmer. Add salt, tamarind paste and belacan granules/ shrimp paste. Gently stir and cook on medium heat until oil splits***. **best used canola oil or vegetable oil. Mmmhhh, delicious! A great combination of ingredients. Yes, Lisa i need more fire, add more sambal for me please, yummy!!! I love chilli too! Thank you for sharing it, Lisa. I definitely like having fire in my belly! The sambal looks amazing! I'm a chilly fan and like spicy food and this one looks and sounds delicious!